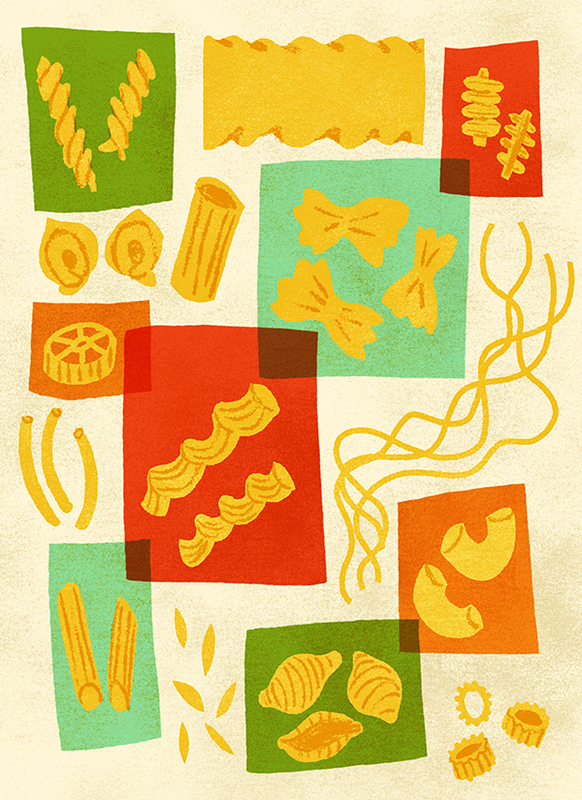 We’re finishing up January with one more week of food art. Drawing the same subject matter for a whole five weeks is no easy feat! But focusing on the same thing for an extended amount of time is a great way to push yourself creatively. Pushing through when you are confronted with creative fatigue is difficult, but ultimately makes you a better artist and creative thinker! 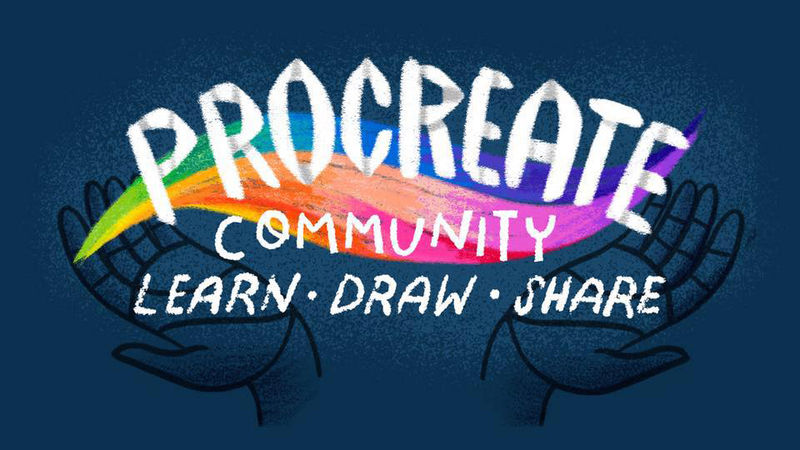 Give yourself a little extra time to draw this week. Try to push yourself to draw something a little more involved. 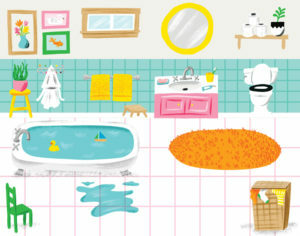 Spend a bit more time researching the prompt to get a better idea of what you’d like to draw. Sketch a couple ideas before you draw the final art. This week is meant to be more open-ended, and thus a bit more challenging. Each day is a country or region of the world and it’s up to you to decide what you’ll draw from that area. We’re focusing on dishes or recipes, so get creative with these! 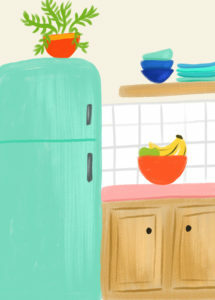 You could go simple by drawing regional produce, or a plate of food, maybe draw a collection of ingredients that make up a recipe, or get really into it and create some atmosphere by drawing a scene to go with the food. Our prompts obviously don’t cover the entire world of food, but I hope they inspire you all the same. Plus, the end of the week will have you drawing upon something personal and illustrating foods from your own country or ethnic background. Can’t choose just ONE dish to draw per region? 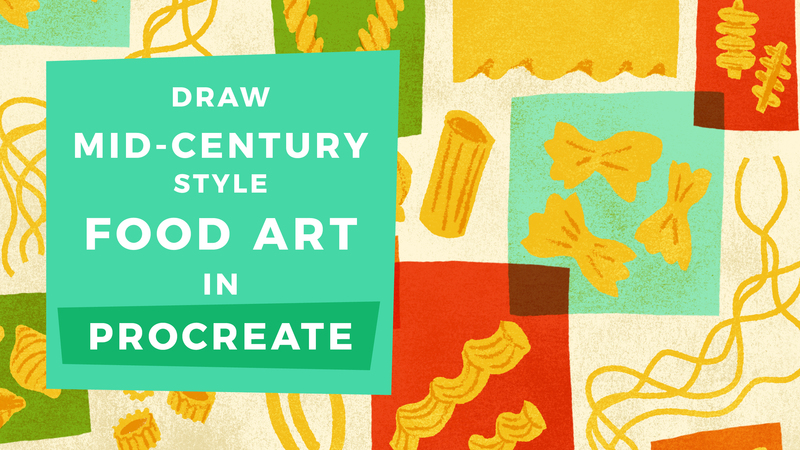 Check out this tutorial about how to draw mid-century style food art such as the artwork above. 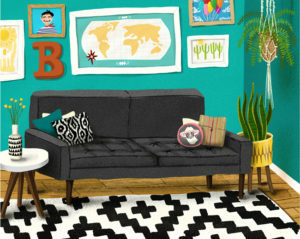 It’s great for depicting a variety or category of items. Click the graphic below to take a watch!